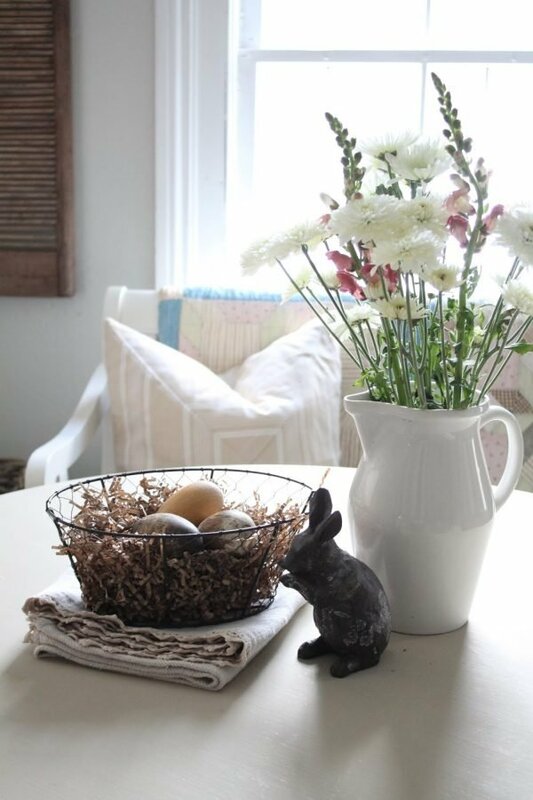 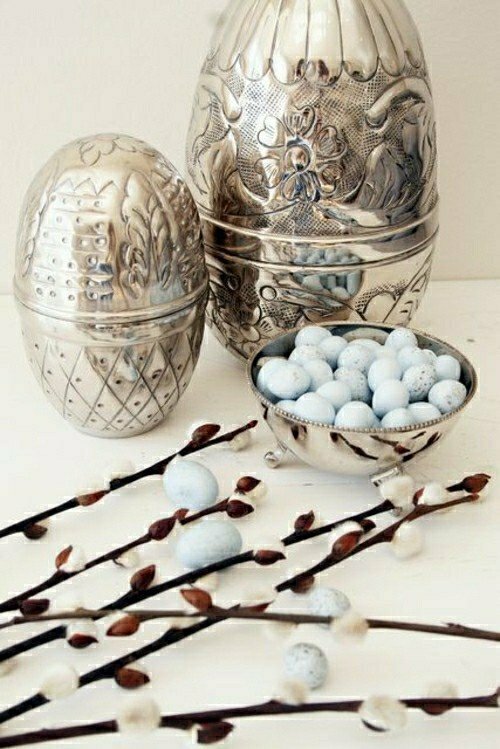 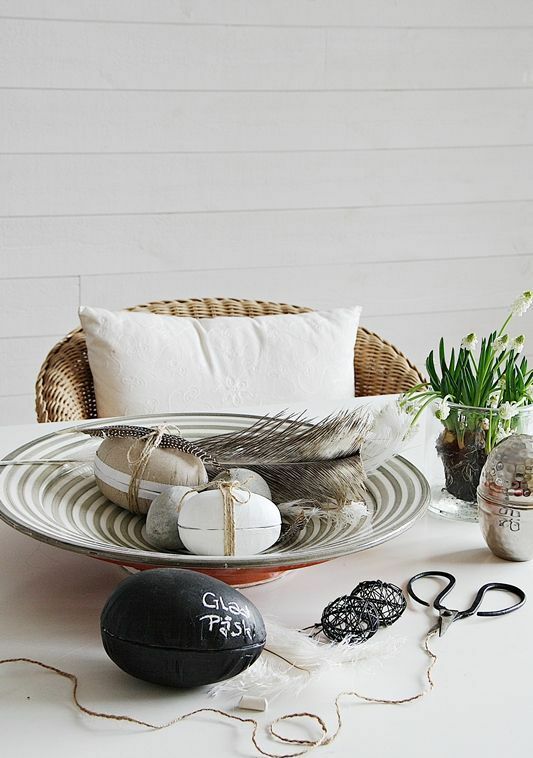 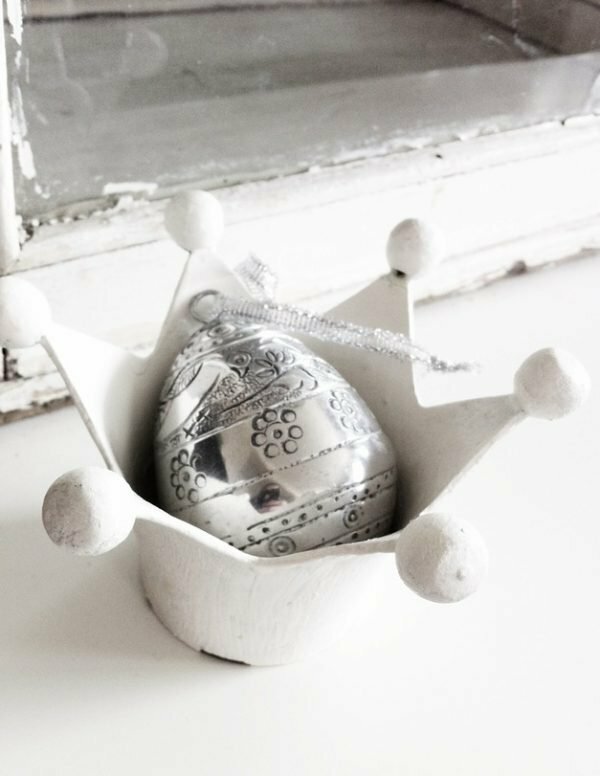 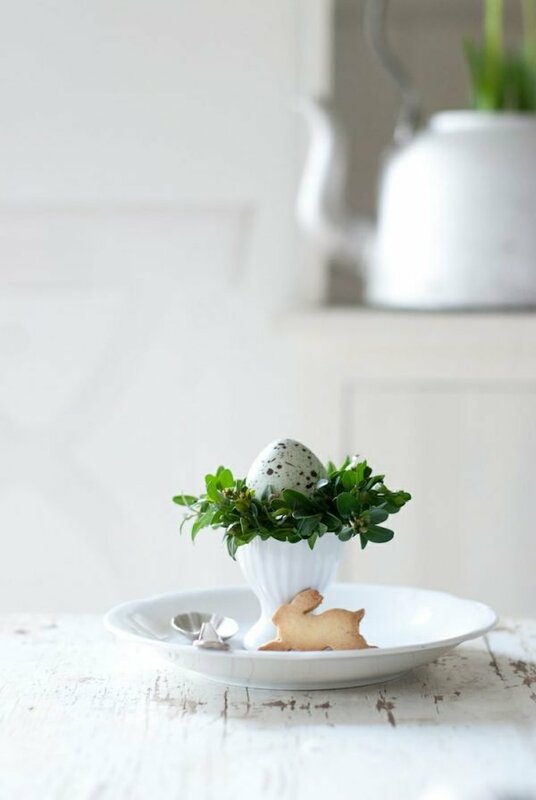 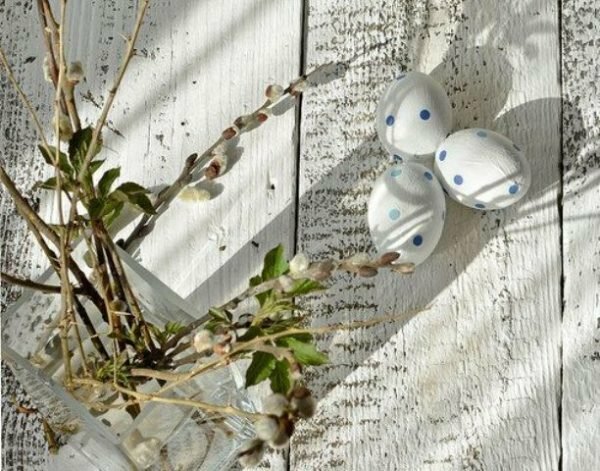 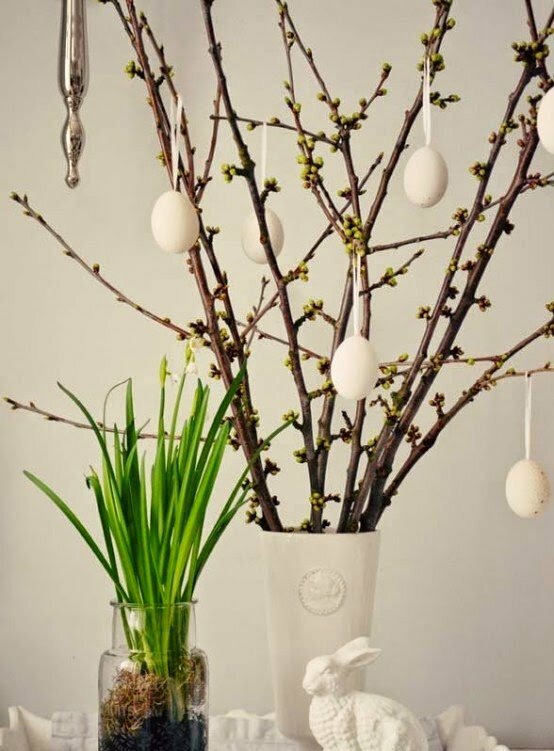 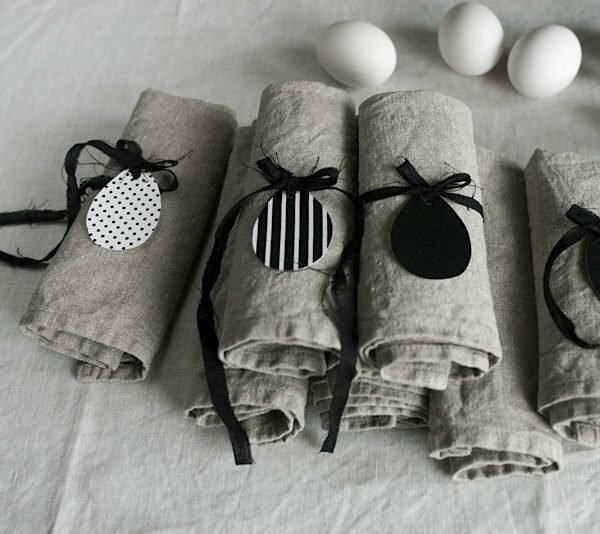 Scandinavian Easter looks very natural and soothing, using traditional materials such as wood, stone and glass with spring lowers, eggs and rabbits. 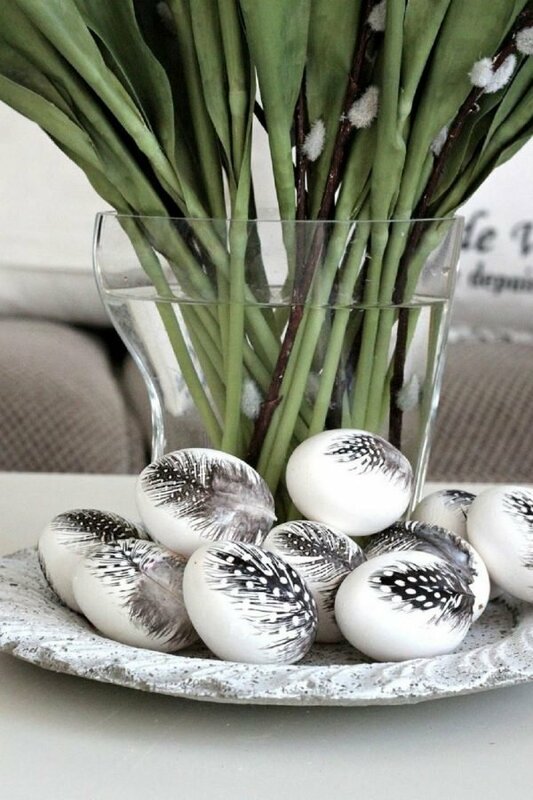 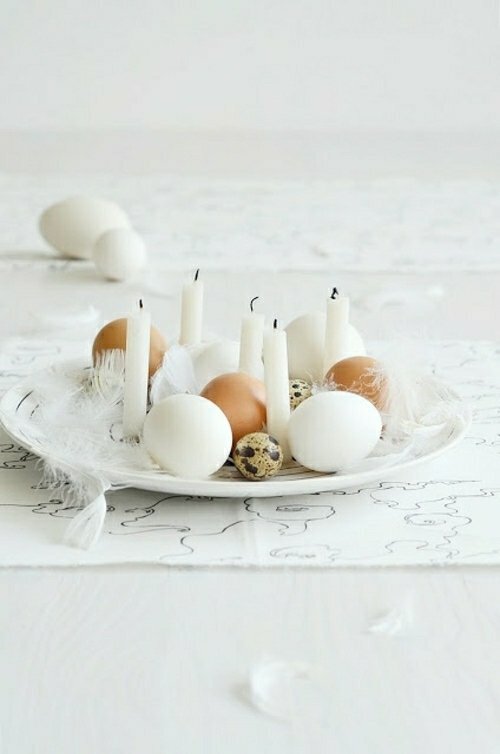 Eggs are decorated with feathers, marble patterns, rope or without pattern. 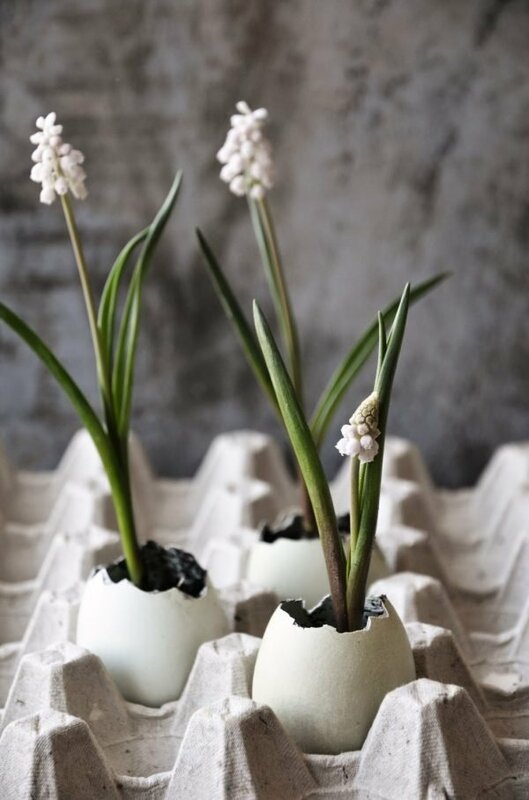 Widely are used eggs and shell of the eggs as a garnish or main decoration placed in jars, cartons, with candles and flowers. 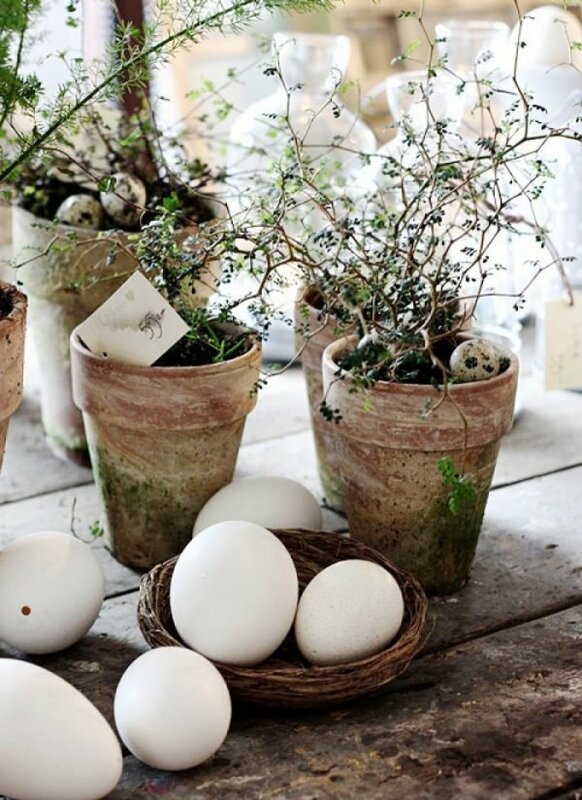 Lots of greenery and plants are used in the decor. 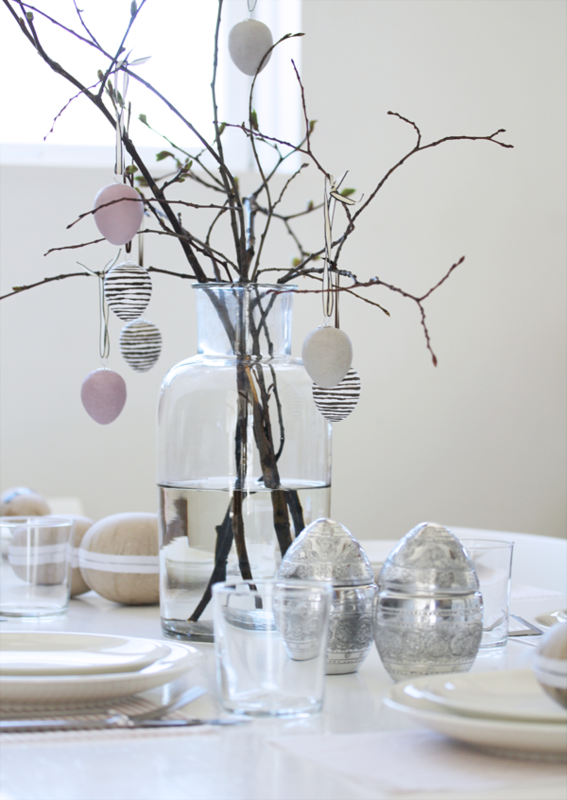 What we like about these charming ornaments is their simplicity that runs through style! 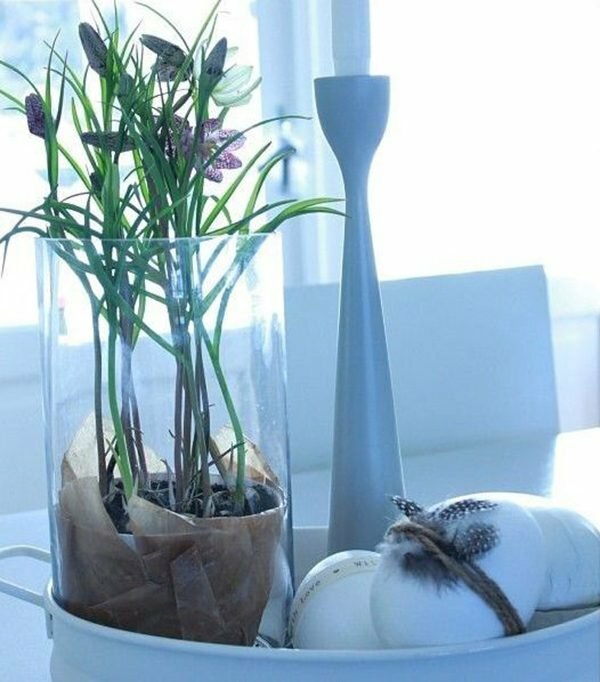 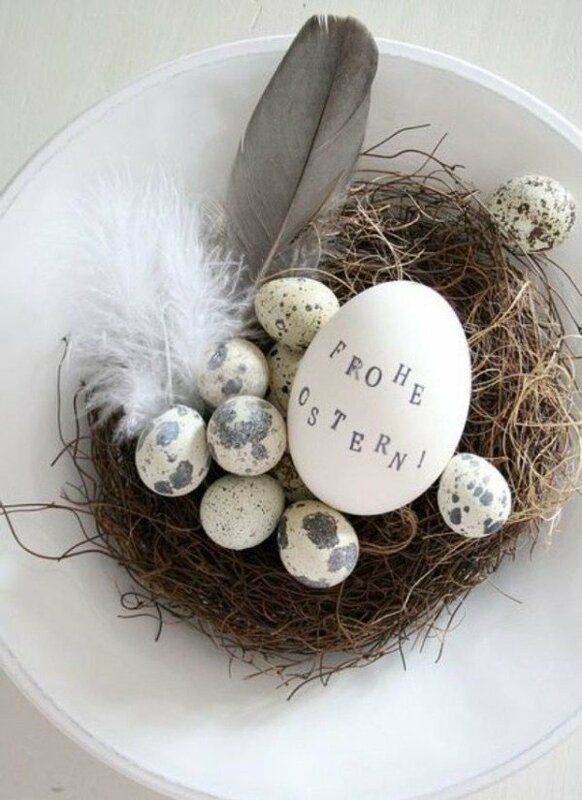 For your inspiration look some diy Easter decor ideas that we found over the internet!